We’ve all been in this scenario before: you’re rushing to get everyone ready and out the door for school, errands, or an adventure, and you cannot find a single lid for your child’s sippy cup despite the fact that you know you have a dozen! 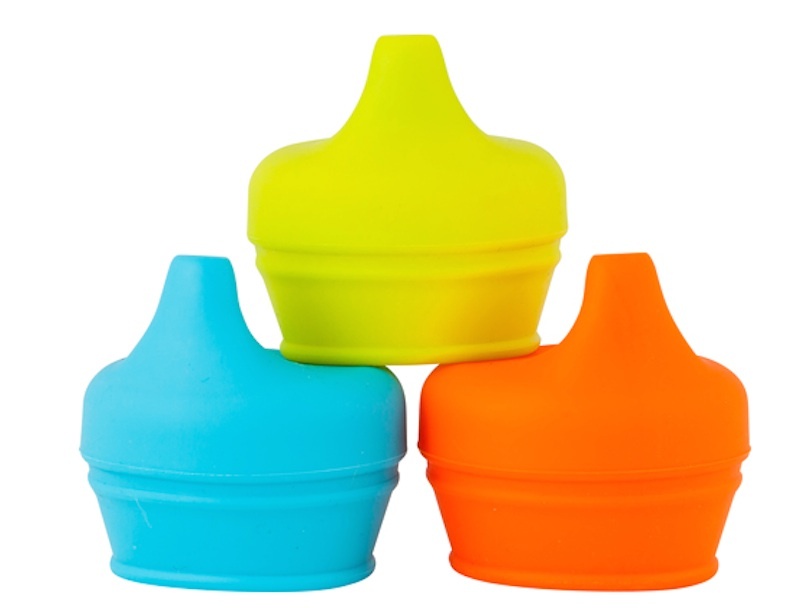 Boon‘s Snug Spout universal sippy cup lids are here to save the day! Made from BPA, phthalate, and PVC-free silicone, these lids fit over almost every regular-size cup. These lids are also great to have on hand when eating at a restaurant or dining at the home of friends or family members who don’t have kids. Just put the lids on any regular cup (with a 2.5-3 inch diameter) to turn it into a sippy cup. The Snug Spout sets come with three lids (in blue, orange, and green or blue, magenta, and purple) and are recommended for ages 9 months and up. Buy a bunch of these cheerful and spill-proof lids and toss them in overnight bags, purses, and your in-laws’ kitchen cabinets, so your little ones are ready to sip anytime, anywhere. We've all been in this scenario before: you're rushing to get everyone ready and out the door for school, errands, or an adventure, and you cannot find a single lid for your child's sippy cup despite the fact that you know you have a dozen! 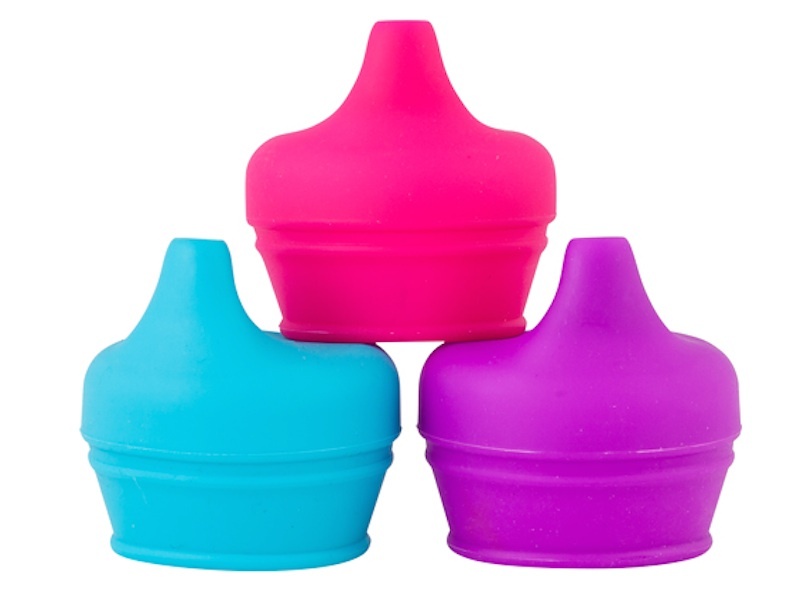 Boon's Snug Spout universal sippy cup lids are here to save the day! Made from BPA, phthalate, and PVC-free silicone, these lids fit over almost every regular-size cup. These lids are also great to have on hand when eating at a restaurant or dining at the home of friends or family members who don't have kids. Just put the lids on any regular cup (with a 2.5-3 inch diameter) to turn it into a sippy cup. The Snug Spout sets come with three lids (in blue, orange, and green or blue, magenta, and purple) and are recommended for ages 9 months and up. Buy a bunch of these cheerful and spill-proof lids and toss them in overnight bags, purses, and your in-laws' kitchen cabinets, so your little ones are ready to sip anytime, anywhere.